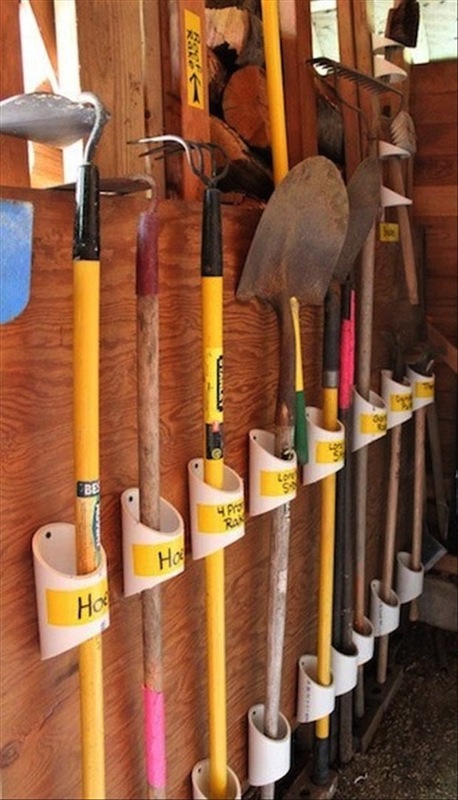 Keep those yard tools organized and out of the way with PVC pipes! You’re going to need a good saw and drill to make this happen, but it’s an inexpensive way to keep your lawn and gardening tools out of the way yet still easy to access. Get the details over at Ashbee Design. 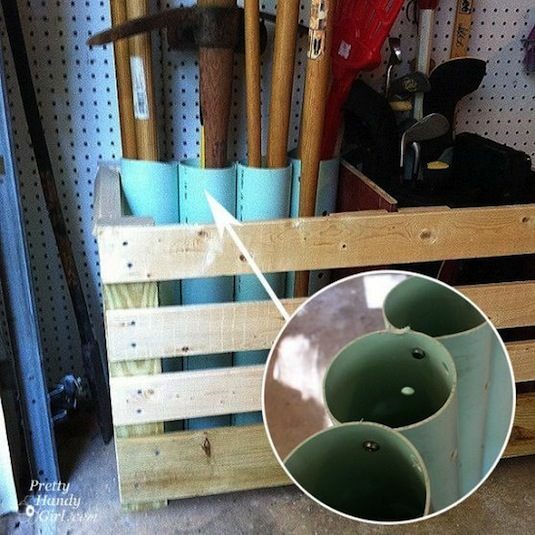 Connect large pieces of PVC pipe with screws and use it to hold all of those bulky yard tools. It’s the easiest and cheapest tool slot you’ll ever make! 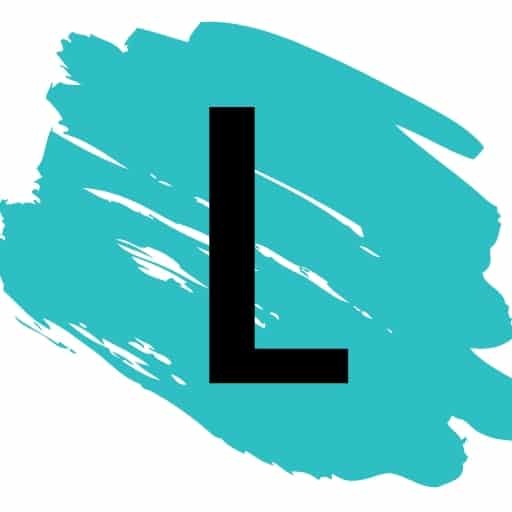 Go check out the details over at Pretty Handy Girl. 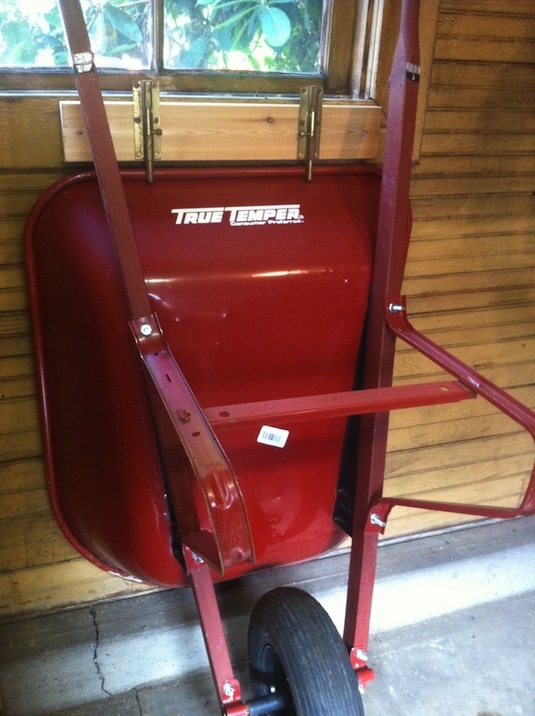 I prefer to keep my wheelbarrow in my shed, but if you don’t have the space, use sliding locks to keep your wheelbarrow standing up against the wall and out of the way in your garage. When you’re ready to use it, simply slide the locks up for easy removal.